More than 2 years ago, I undertook a pilgrimage to Beyul Langdra Nye, popularly known as Baylangdra. The sacred site lies at an elevation of about 2500m above sea level and at a distance of slightly more than 105km from Thimphu. An hour and a half walk from the dead-end of feeder road takes one to the ney. Located in Kazhi, Wangdue district in Western Bhutan, Baylangdra is a sacred spot where Guru Rinpoche, in the form of Guru Ugyen Dorji Gur, subdued a demonic force and concealed many ter (spiritual treasures) in the last decade of 8thcentury. Later, many spiritual masters visited the place and attained rainbow body. 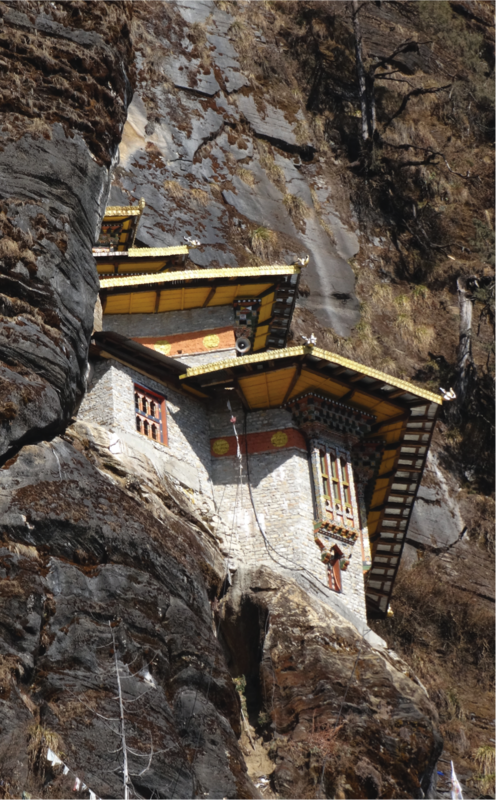 Therefore, it is one of the most sacred holy places in Bhutan. Other equally sacred places are Taktsang in Paro, Kurjee in Bumthang, Singye Dzong in Lhuentse and Aja in Mongar. 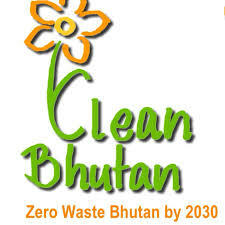 I started the journey from Thimphu on the morning of January 2, 2014. After an uphill drive for about 45 minutes, I reached the Dochula Pass at an elevation of about 3100 metres above sea level. Since the sky was quite clear. I made a brief stop to have a glimpse of beautiful far- off mighty mountain range. Not every day, one passing by is lucky enough to see the splendid mountain range. The one hundred and eight stupas known as Druk Wangyel Khangzang Choeten adorn the entire crest. Her Majesty the Queen Mother, Ashi Dorji Wangmo Wangchuck, had them built as a tribute to the fourth King, His Majesty Jigme Singye Wangchuck and the armed forces of Bhutan after successful military operation against Indian insurgents in the south of the country a few years back. It was impossible not to fall in love with the view and slip into reverie. A sad feeling overtook me when I reached Wangdue. Something significant was missing. The 376-year-old Wangdue Phodrang Dzong was in ruins. It was gutted by fire on the afternoon of June 24, 2012. Shabdrung Ngawang Namgyel, the founder of Bhutan built this Dzong in 1638. I continued my journey and reached my destination, one of the many sacred places in the country blessed by Guru Rinpoche. Baylangdra is today one of the few undefiled nyes in the country. According to neyyig (portrayal about this scared spot), the mountain behind the ney resembles the throne of Guru Rinpoche and valley in the front resembles a golden mandala. Baylangdra Nye lies at the centre surrounded by the mountains that resemble pandits/adepts sitting in rows. Guru Rinpoche visited this place to subdue the local deity named Terdak Langdra who had been terrorizing the people in the locality. Guru Rinpoche in the form Guru Ugyen Dorji Gur was meditating in the Cave. On the seventh day, Terdak Langdra appeared in the form of a fierce dark-red bull to distract and attack Guru Rinpoche. Tredak Langdrak vowed that he would no longer harm humans and animals but protect the dharma. Guru Rinpoche then made him a dharmapala and named him as Gyenyen Langdrak. Pilgrims visiting the nye receive the blessings to fulfill their aspirations. The neyyig says those who visits this ney, qualities such as compassion, generosity, and intelligence will spontaneously developed in them. And if one make offerings at the ney, it not only clear one’s obscurations in the present life but one will also be reborn either in the pure land realm of Guru Rinpoche or as a wealthy and powerful king on earth. If one meditates there, one will have a chance to see one’s yidam (tutelary deity). 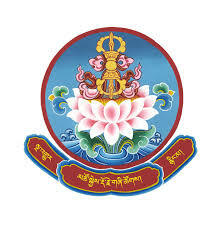 It is believed that those who spend their life in spiritual pursuit at this nye will attain bodhichitta and those who remember nye in their daily prayers can get rid of obstacles in their day to day life. The names of many places in Baylangdra are linked to the visit of Guru Rinpoche. For example: Goemsap kha (goem – guest, sap – new) is the place that people first saw Guru Rinpoche as a new guest in their place. Similarly, Omena is the place where people offered milk to Guru Rinpoche. When Guru Rinpoche was taking rest at the ney, the evil spirits of the region conspired to attack him but through his miraculous power a huge flame erupted from his body which burnt them all and liberated their souls. This place is known as Sekpaithang meaning a ground where spirits were burnt. Their remains can be seen there in the form of rock. There is a cypress tree at the ney which is believed to have grown from Guru’s walking stick. Guru Rinpoche planted his walking stick, saying, “Let this stick grow if I can conceal ter at this place; let it die otherwise.” The stick grew into the giant cypress. Guru Rinpoche concealed many ters for the future revealers to discover. It is said that the ney has a door each in its four directions – the door of Bodhisattva Manjusri, the door of Bodhisattva Vajrapani, the door of JomoYuden and door of Bodhisattva Avalokiteshvara. These doors are guarded by powerful deities Ekajati and Hayagriva. To the left of the sacred cave drip holy water which is believed to be the nectar of immortality. Whosoever prays and tastes this water can live for at least 100 years. It is said that during the most auspicious time, gods and nagas visit this place and take bath to clean themselves of defilement. 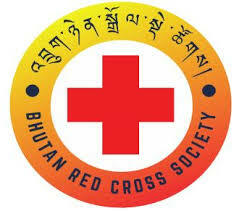 This is a place where dakas and dakinis continuously turn the wheel of dharma. One can see Guru Rinpoche’s throne and foot print on a rock. Among other things, one can also see a divine sword, genitalia of a khandro, foot prints of 100,000 dakinis and the spot where Terton Dorji Lingpa (1346-1405) discovered ritual texts concealed by Guru Rinpoche. According to a local account, there are 113 lakes. A lake named Kapali Dungtsho is said to be situated on the head of a devil. The lake’s water is milky and if one took bath in it all sins and obscurations will be cleansed. To the south, there is a triangular lake with blood-like water. The very sight of it is enough to make one’s mood dark and gloomy. One should neither drink this water nor let one’s shadow fall on this lake. To its left lies Sertsho - the golden lake. The lake grants good luck and longevity to those who are lucky/destined or to enlightened ones. Although my stay at Baylangdra was brief, experiencing bliss of walking along a path where many saints and masters had trodden in the past gave me immense spiritual satisfaction. I felt closer to heaven.